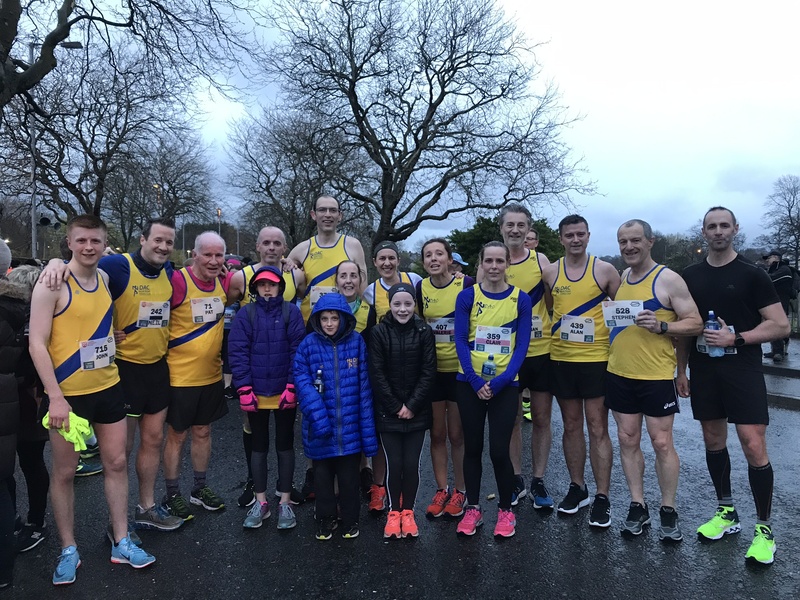 After enjoying perfect conditions in recent years the 2019 edition of the Queens 5k welcomed Pb hunters under leaden skies and lashing rain but, in a hugely positive night for North Down, there were podium places and personal bests aplenty amongst the half century of club members who donned the yellow vest. 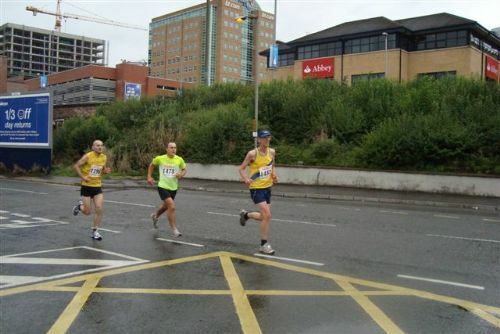 Athletics coaches at all levels have long promoted the benefits of training in all weather and on a night when the likes of Francis Marsh, Davy McMeechan and Michael Roberts practiced what they preach, it must have been hugely satisfying for them to run with the athletes that they coach, seeing them make light of the conditions and cash in on their training. The festivities kicked off with a 3k opener in which Jakob Swan (10:21 Pb) was first club member across the line (12th overall). 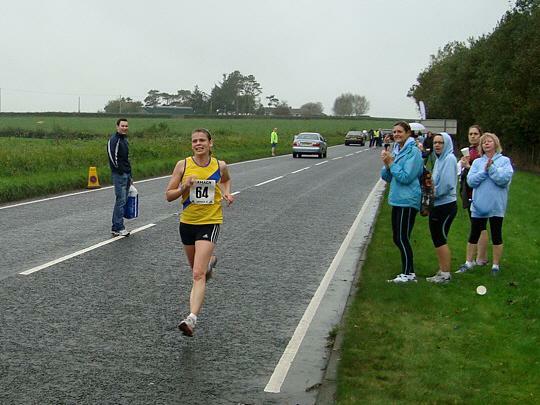 Tara McDonough was next, a storming time of 10:37 (Pb) good enough for first lady and 16th overall. Ryan Lynas had a great run to finish in 10:56 (20th), whilst Amelia Tyler (11:01 Pb) claimed 3rd lady and 21st overall. The procession of flying juniors continued with Murphy Miller (11:15/29th), Emily Mills (11:17/30th) and Rio Catney (11:30/37th), before Paul Lynas staked a claim for the dads with 12:22. After finishing 12th in the North Down primary schools xc earlier in the day, Isaac Dunne posted 12:34, the same time as Amy Ellison, whilst Erin Playfair and dad Nigel crossed the line together in 13:06. 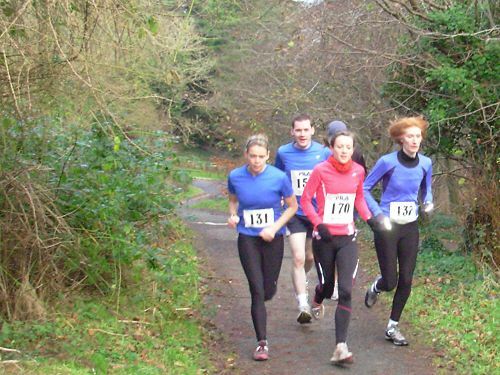 Naomi Dunne dipped under 15 minutes to finish in 14:49, whilst junior parkrun regular Alexia Hughes was just the other side of that barrier on 15:30. The main race kicked off with 42 North Down representatives, nearly half of whom would go on to post their fastest ever 5k, but for once Craig McMeechan wasn’t one of them, 15:20 still a tremendous effort and one that was good enough for 9th place in the national championship race. Thomas Patterson had a great run to post a new Pb of 16:22 (41st), before Jamie McMeechan claimed brotherly bragging rights with a fine new best of 16:37 (52nd). Francis Marsh ran 16:49 (62nd), leading John Ewing to a tremendous first sub 17 (16:57/73rd), Nick Irvine was close to his best in 17:11 (90th), whilst Jack Logan (17:16) ran a huge Pb to join Jessica Craig (17:18) inside the top 100. Mark Carberry completed the transition from injured rugby player to highly promising young athlete, claiming a new benchmark of 17:34, whilst in possibly the run of the evening Jamie Gaw demolished his previous best to register 17:46. Chris Downey claimed a new Pb of 17:47, as did Cameron Jenkins (17:54) and Alasdair Mair (18:22). 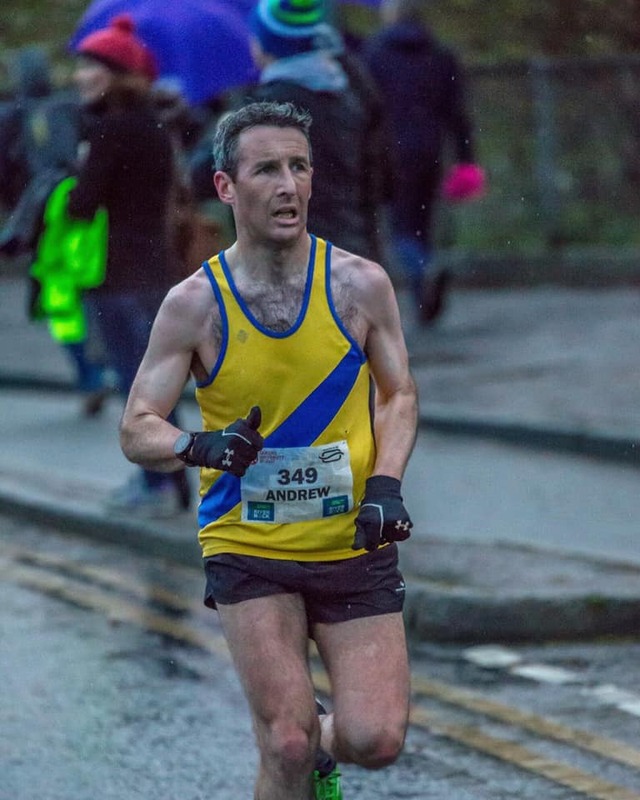 Chris Moran recorded 18:30, Andrew Muir (18:44) followed up a 10k Pb on Sunday with a new 5k best on Wednesday, as did Steven Donegan (18:46), whilst Neil O’Driscoll (19:08) continued his recent progress, with a fine new benchmark. Steve Wise was well into the 80% age graded bracket in posting 19:29 and led a quick succession of club members across the finish line. 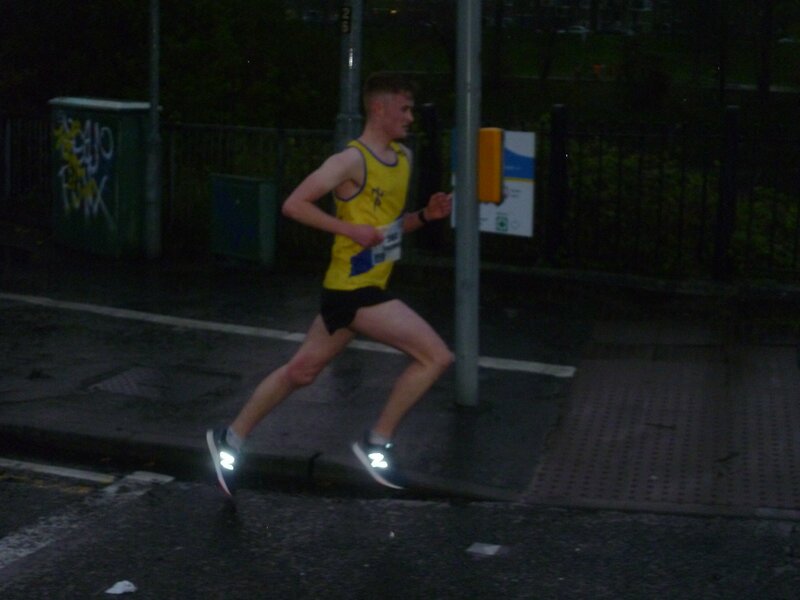 Ben Jenkins recorded a new personal best in 19:30 as did Philip Giles (19:31), Clair Quigley (19:33) Johnny McGrath (19:42) and Les Boyd (19:47), who also followed up a Titanic 10k Pb with another at the shorter distance. Alan Massey (19:50) was the 24th (and lucky last) club member to break 20, whilst Philip Mulligan (20:00) led home a half dozen members including Oliver Playfair (20:08), Colin Walker (20:08), David McMeechan (20:13), Tom Agnew (20:15) and Jamie Woods (20:17) who drifted just outside that benchmark, the common bond being that the majority have previously broken 20 minutes (and will do again), whilst for Tom there was consolation in his fastest ever 5k. 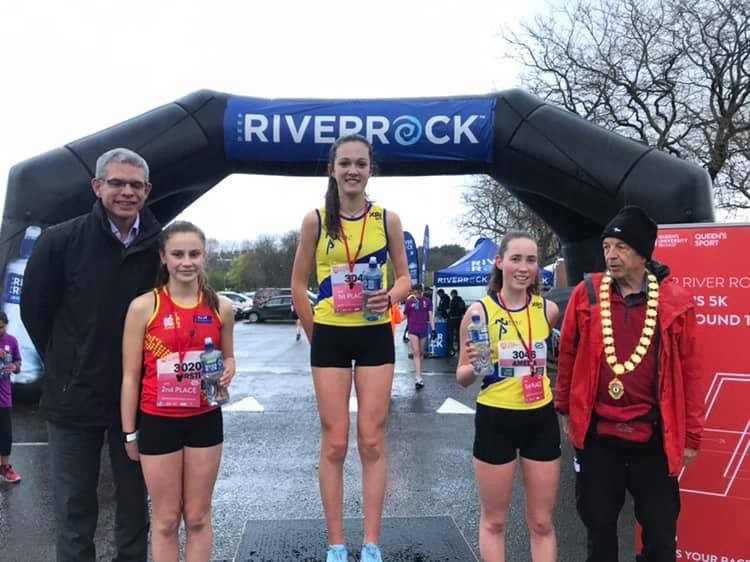 Valerie McDonough (20:49) will be delighted to have clocked her quickest 5k in a couple of years, whilst Lindsay Doulton should be equally happy to have claimed her fastest ever in 21:02. 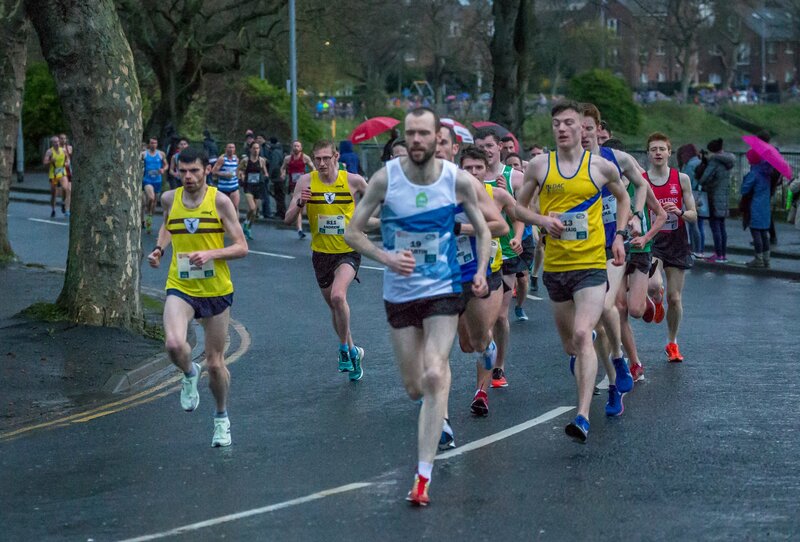 Jessica Scott (21:38) finished just in front of Alan Hughes (21:40) who, even allowing for his stature, continues to make giant strides of improvement and was another to pair a 5k Pb with his 10k best the previous weekend. 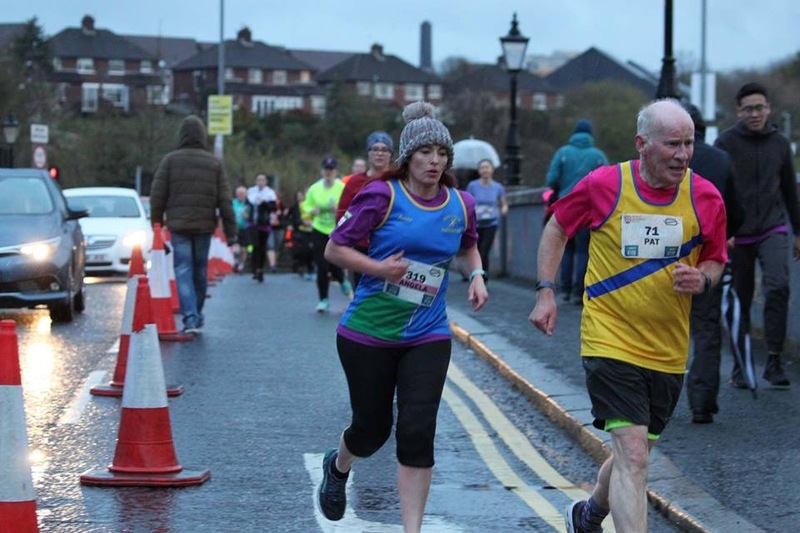 Cliff McCausland (23:00) and Lisa McMeechan (23:58) led Hannah Dunne (24:50) to a second sub 25 (and Pb) in a week, whilst Michael Roberts (24:56), Kathryn Playfair (25:21), Pat O’Driscoll (28:40) and Noreen McCausland (31:47) rounded out North Down representation on a night when the ladies team finished 4th, the men’s 5th, but every club member can be proud of the effort they put in.